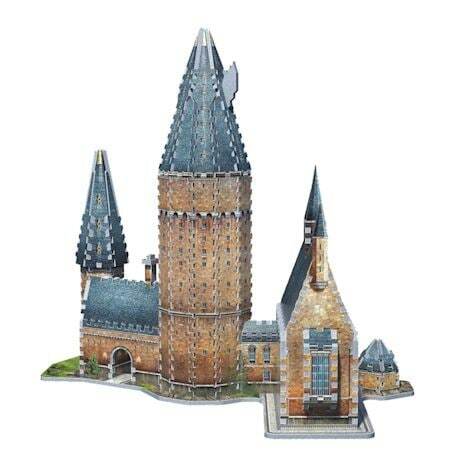 These amazing 3-D puzzles assemble into dimensional models of key locations in the Harry Potter series. 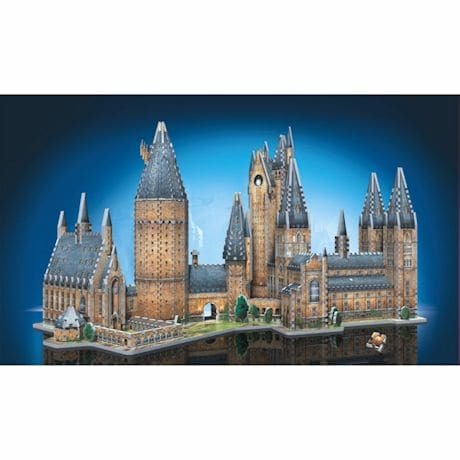 The Great Hall contains 850 pieces (20"x 15"x18½"), The Astronomy Tower has 875 pieces (15½"x 13 x 19") and The Burrow, The Weasley Family Home , contains 415 pieces ( 8¾"x 8¾"x 15½") . Rugged precision cut pieces. Each model sold separately.